I am about sharing with you little techniques that make cucumber cultivation profitable. I bet with you that what you would read therein isn’t just new, resourceful but also practically based. We pride ourselves in providing through our farming experiences, unique innovations and techniques. 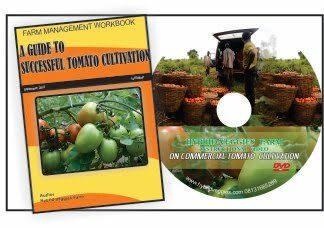 …But for the estimated profit; I have come across many that develop great love for vegetable farming without having neither in-depth understanding of the market/marketing techniques or the skill of management practices that would ensure result. On paper, farming veggies such as cucumber is the easiest endeavor one could take up but on the field, it often turns out to be a different ball game. In this article, I would love to take you through the A-Z of cucumber farming that would surely guarantee you success if appropriately and correctly applied. In this part of the world, many farmers pride themselves on the size of land rather than plant population. I often come across people saying; “My farm is 10 acres”, “My veggies farm is 20 acres” but in reality people should rather be mentioning the average plant population rather than land size. 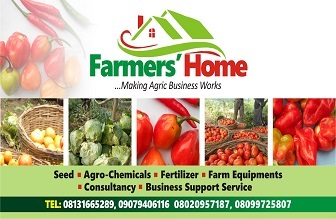 An acre of cucumber farm, for example could contain an average of 10,000 to 12, 000 stands, while a farmer could have just 5000 stands scatter around his one acre farm, he would still pride himself having an acre of cucumber. There are many plant spacing patterns you could use: Double rows planting patterns like 60cm x 60cm, 60cm x 45cm or One row planting patterns like 60cm(between plants) by 100cm(walkway), 45cm(between plants by 50cm(walkway). What determines your spacing patterns are the available land size, amount of resources (inputs), time of the year, techniques to be employed and your skill. For the newbies, I would advise that you go for training at the very least. Staking: staking/trellising your cucumber plant has many benefits attached. It increases air flow i.e. ventilation thereby reducing disease incidence. It ensures good/well appealed fruits which have little or no contact with the soil. This kind of fruits attract premium price from buyers. Staking/trellising reduces competition for sunlight and increases ease of working and walking through the farm. Weeds management is also one outstanding benefit. Overall, harvesting is much easier to do. In order to make up for all the spaces left behind by the failed germinations and pre-matured seedlings, you would need to raise nursery the same day you plant the field. Rule of thumb: raise 30% seedlings on nursery of the whole number of seeds planted on the field. This means if you plant 1000 seeds on the field, you may need to plant 300 seeds in the nursery. Techniques in raising seedlings for cucumber may be different from that of tomato, pepper, onions etc. To raise cucumber seedlings, you are advised to use nursery bags or big hole sized seedlings trays. Never plant cucumber directly on seed beds. The reason for this is that; cucumber life span is very short. It takes only 6 weeks to maturity from planting (for hybrid seeds), due to this short period, there is no room for transplanting shock normally experienced after seedlings transplant. Using nursery bags would ensure the cucumber seedlings are not disturb after transplanting therefore they would be able to match up with their set directly planted on the field. In addition, during the height of raining season when it may be very difficult for cucumber seedlings to germinate on the field due to heavy yet continuous rainfall, planting everything in nursery bags meant to be transplanted may be a good idea. Finally, when you have your transplants ready, transplant a week after the germination and do it in twilight. Ensure you replace every empty space and runts. Moreover, give them a lot of water for the next few days. I trust you find this article of help in one way or the other. The part 2 (Cucumber Cultivation Dictionary Part 2) shall cover topics like soil/fertilizer management, water management, trellising methods, understanding of cucumber flower pattern, factors that determine your choice of seeds, bees & companies: why this is such an important factors in cucumber farming, harvesting and storage, sorting and sales, marketing channels etc. Should you have any question, comment and critic, please be free to leave such behind. Cheers.